There are various types and forms of pipe fittings available in the market. But, people often choose MSS SP75 WPHY 52 Pipe Fittings as these fittings are made with the quality of material that helps it to withstand in the extreme environment also. On the other hand, grade MSS SP75 covers seamless, factory-made electric carbon and alloy steel. Often, welded fittings are used in areas of high pressure. There are various applications that make use of these pipe fittings such as oil transmission, compressor stations and regulating stations. This grade of fittings governs tolerance, testing, materials and tensile properties of the fittings. We as the Manufacturers of this grade of pipe fittings manufacture these pipe fittings of best standards and specifications. There are various types of pipe fittings available with this grade such as caps, tees, elbows, reducers, and factory welded extensions. All these products are well-tested and inspected by quality expertise and inspection agencies before these products are hand over to its respective customers. Fitting is made with special dimensions, shape, size, and tolerance and all these fittings are covered by standard practice and agreement between the purchaser and manufacturers. These products meet both national and international standards. The dimension of pipe fittings is MSS SP75 and size of the fittings varies from 1/8 NB to 4NB. Pressure class for these products is 2000 LBS, 6000 LBS, and 9000 LBS. These MSS SP75 WPHY 52 Pipe Fittings are tested and inspected as per international standards. Moreover, when it comes about their quality, when these fittings are manufactured they are packed in wooden cases or plastic boxes in order to prevent it from damages until its last stage of production. 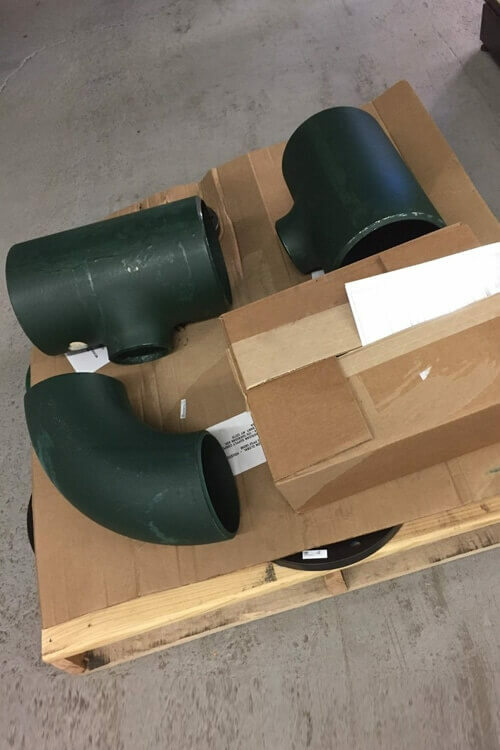 MSS-SP-75 Gr WPHY 52 Stub Ends, MSS SP75 WPHY 52 High Yield CS Equal Tee, High Yield MSS-SP-75 WPHY 52 Buttweld Cross Fitting, MSS SP75 Grade WPHY 52 180 Deg Long Radius Elbow, MSS SP75 WPHY 52 Pipe End Cap Manufactures in Mumbai India, Standard Size MSS SP75 WPHY 52 Fittings Supplier, Carbon Steel MSS-SP-75 WPHY 52 Concentric Reducer, MSS SP75 WPHY 52 45° Elbow, MSS SP75 WPHY 52 High Yield Reducing Tee, Carbon Steel MSS-SP-75 WPHY 52 90° Short Radius Elbow, MSS SP75 WPHY 52 Carbon Steel Eccentric Reducer Exporter.